Sponsored Yogis is an annual program at Alive in the Fire where I choose yogis around the country to support in their yoga journey. Sponsored Yogis is an annual program at Alive in the Fire where I choose yogis around the country to support in their yoga journey. 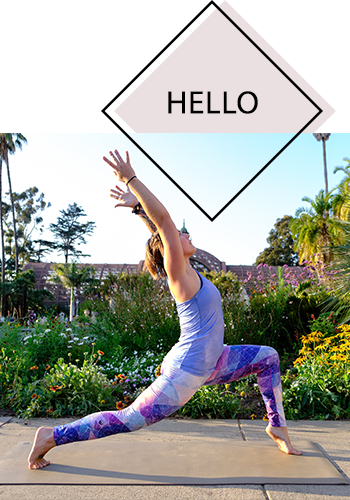 In partnership with generous brands, I provide sponsored yogis with yoga gear, yoga wear, healthy snacks, natural beauty products, custom journals, and other fun surprises. I keep in close contact with the group, offering customized advice and resources on yoga, meditation and wellness. Sponsored yogis also have the chance to write about their experiences and share their stories with blog readers. Yani is a yogini and Americorps volunteer from Bakersfield, CA. She is creative, empowered, grateful and compassionate. Kelsie is a dedicated student and teacher of yoga from Clarkston, WA. She is thoughtful, encouraging, knowledgeable and devoted. What’s the goal of the program? At the heart of yoga is seva, or selfless service. The Sponsored Yogis program is my way of giving back to the yoga community and inspiring others to dive deeper into their practice. Email Rachel at aliveinthefire (at) gmail (dot) com for an application. How are sponsored yogis chosen? What criteria is used to determine who gets picked? Sponsored yogis are chosen based on an application process involving some writing about yourself, and some follow up with Rachel. The application consists of a series of questions about the yogi’s background in yoga and their ideas for blogging and contributing to Alive in the Fire. When reviewing applications, I look for passion and commitment. I choose yogis who are dedicated to deepening their practice, who are enthusiastic about engaging in community, and who are ready to speak their truth and shine their light in the world. How can I make a donation to support the sponsored yogis? If you are a yoga studio owner, yoga teacher, massage therapist, reiki practitioner, health and wellness business owner, nutritionist, artist, entrepreneur, or just generally generous person interested in giving, contact Rachel at aliveinthefire at gmail dot com. Sharing large amounts of happiness, peace, and joy with strangers—making our world a better place!